We are so excited to announce that we have partnered with the Center for Arab American Philanthropy (CAAP) in Dearborn, Michigan. Similar to the Dalia Association, CAAP aims to promote philanthropy amongst its constituents. One of our long time extremely dedicated donors (who asked not to be named) initiated a fund at CAAP for the Dalia Association. 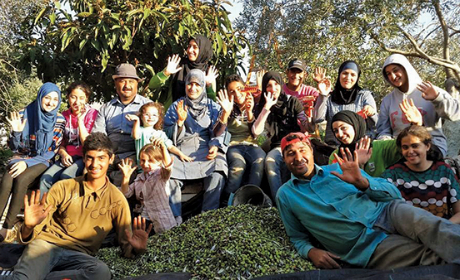 The Dalia Association Palestinian Community Fund is now live! In addition to the new fund, we are excited to work with CAAP and learn from their experiences in promoting philanthropy and community grant making. The fund provides an opportunity to donate to the Dalia Association, Palestine's community foundation, through a registered 501c3 in the US. Credit Card donations can be made online at the above link. Checks should be made out to CAAP and sent to the attention of (Katherine Hayek Hanway, CAAP, Donor Services and Program Officer) at 2651 Saulino Court, Dearborn MI 48120. Please write, Dalia Association, Palestinian Community Fund, in the memo section of the check.